double portrait | Randy McQuien, Jr. I wanted to let you know that you are an incredible chef. The meal that you made on the night of my proposal to Janelle was nothing less than superb. I can’t thank you enough for helping make that night perfect. 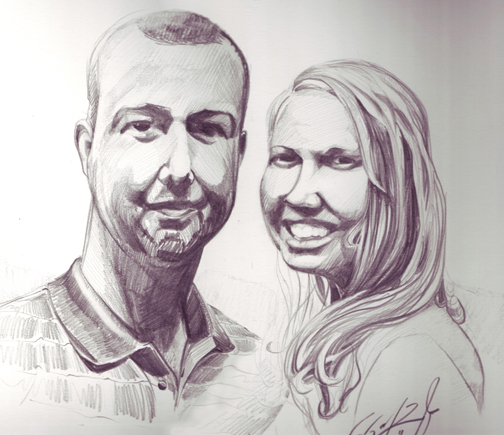 I hope you enjoy the double portrait that I made for you and your beautiful wife. Thanks again, buddy.